John Richard Coulter was born in Perth, WA, on 3 December 1930, the elder of two children of English-born John Wolfe Stuckley Coulter, a clerk for the Vacuum Oil Company, and Constance Amelia Coulter, née Braddock, a nurse. Growing up in the then outer suburb of Nedlands, John walked each day through the bush to Nedlands Primary School. His mother wanted him to pursue a medical career and returned to work so that John could attend Wesley College, South Perth, where he excelled at science. Coulter completed the first year of a science degree at UWA in 1948, before transferring to a medical course at the University of Adelaide. At UWA Coulter had joined the Student Christian Movement and he continued his membership in Adelaide, becoming an Anglican lay preacher for a short time; in later life Coulter described himself as agnostic. On 17 January 1953 he married Brenda Bice, and the couple built a home at Rostrevor, a north-eastern suburb of Adelaide. A son and a daughter were born in 1958 and 1961. Divorced in 1978, Coulter married Phyllis Johnstone on 15 December 1984. Graduating MB BS in 1956, Coulter did his residency at Royal Adelaide Hospital during that year, and then worked as a locum for the next two years. Coulter never lost the ambition for a career in scientific research, and in late 1958 he secured a position as a surgical research officer at the Institute of Medical and Veterinary Science (IMVS) in Adelaide, working initially on microbiology. His first major research project, focused on staphylococcal hospital cross-infections, was published in the Cambridge Journal of Hygiene and received coverage in The Lancet. In the early 1960s Coulter joined Dr Earle Hackett's medical research division within the IMVS and from about 1967 held the position of specialist pathologist. He did further work on staphylococcal toxins, and devised a quick method of analysing amino acids. Eventually Coulter turned his attention to the investigation of the effects of chlorinated pesticides, and other toxic substances, on human tissues; by 1976 he had set up the Environmental Mutagens Testing Unit to provide a testing service for the cancer-initiating potential of substances, making the service available to trade union and environmental groups, as well as the scientific and medical communities. He also spoke publicly about environmental and health issues, including the health hazards of drugs and industrial chemicals. Coulter's increasingly high profile made his employers uneasy. His appearance in 1978 on ABC TV's Four Corners, brandishing a can of Baygon insecticide and warning of the possibly carcinogenic properties of one of its components led to a 'stop' writ for ten million dollars against the ABC (later dropped). In March 1980 Coulter was informed that his unit would be closed and that he would be demoted; on 30 June he was sacked outright. Coulter took a case for wrongful dismissal to the South Australian Industrial Court, and IMVS changed the terms of his severance to retrenchment. After eighteen months on the dole, he took up a casual position at the University of Adelaide lecturing in energy studies, and then environmental studies. From the 1960s Coulter was an active member of several conservation bodies: the Underwater Research Group; the Town and Country Planning Association (TCPA); the Conservation Council for South Australia (as a founding member in 1971 and later president); and the Australian Conservation Foundation (ACF), of which he was a vice-president. Coulter believed that he had played a 'significant part' in changing the role of the TCPA from that of a planning body 'into a far more fundamentalist conservation body', and had played a similar radicalising role in the ACF. Coulter was elected to the Campbelltown City Council on an environmental ticket, serving between 1973 and 1974. 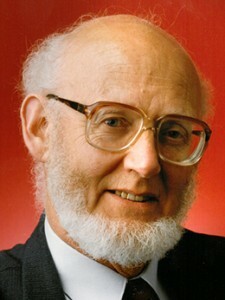 He became known for his involvement with planning issues in Adelaide over the next forty years, and gained some notoriety when in July 1991 he interrupted the official launch of the proposed Adelaide multifunction polis, a project jointly funded by the federal and South Australian government. Within the TCPA Coulter drafted the policy of opposing the mining and exporting of uranium (except for biomedical purposes), also adopted by the ACF. He wrote numerous articles and spoke at meetings warning that the development of Australia's abundant uranium resources for the production of nuclear energy was to be deplored on environmental, economic and social grounds. He also wrote and spoke on population control, based on the principle that a sustainable population should be 'the population which Australia can support without progressive damage to the environment'; this became a central issue for Coulter throughout his public life. Coulter founded the Adelaide branch of Zero Population Growth in 1971 and was later president of Australians for an Ecologically Sustainable Population (founded in 1988), which became Sustainable Population Australia. Coulter joined the Australian Democrats (AD) in 1980, choosing that party for its democratic structure and a policy framework that fell broadly in line with his own beliefs. He was an unsuccessful candidate for the South Australian House of Assembly seat of Fisher in November 1982, and for the House of Representatives seat of Boothby in the federal election of March 1983. He stood in an unwinnable second position on the party's South Australian Senate ticket at the federal election of December 1984. At the double dissolution election of July 1987, with twelve senators to be elected, he stood in second position behind the Leader of the Australian Democrats, Janine Haines, and won the final Senate seat. The election returned seven Democrat senators in total, allowing the party to retain the balance of power in the Senate. In his first speech to the Senate, on 21 September 1987, Coulter attacked the concepts of the 'growth economy' and 'a more competitive' society accepted by the two major parties, arguing that material competitiveness and a more compassionate society were incompatible objectives. Drawing on the ideas of an American economist, Herman Daly, Coulter offered the vision of a 'sustainable' or 'steady state' economy, in which the total stock of population and physical wealth was maintained at an agreed level, 'while using up the least resources'. Coulter's unequivocal commitment to a steady state economy as an essential part of a sustainable environment remained the bedrock of his political beliefs. Like all AD senators, Coulter was party spokesperson on a range of issues, and he was a very frequent speaker in the Senate. Drawing on his research, he spoke often of the pernicious effect of chemicals on the environment and human health, warning of the 'fouling of the human nest' through damage to the ozone layer from the release of chlorofluorocarbons (CFCs) into the atmosphere, and in 1988, he introduced two private senator's bills proposing the introduction of controls on the use of CFCs. Coulter became a member of a number of parliamentary committees, inquiring into some key issues, such as the select committees on Agricultural and Veterinary Chemicals, and Health Legislation and Insurance, utilising his comparatively rare medical and scientific background. In February 1991, as a member of the Standing Committee on Industry, Science and Technology, he strongly endorsed the committee's report, Rescue the Future—Reducing the Impact of the Greenhouse Effect. Coulter sought to secure legislation to protect the natural environment, proposing amendments to strengthen the Labor Government's legislative initiatives in this area, and introducing measures on behalf of the Australian Democrats. Over the eight years he served in the Senate, Coulter introduced twelve private senator's bills, most addressing environmental issues, and although none were passed in the Senate, he claimed that his bills had prompted the government to introduce similar legislation. As the Democrats spokesperson on the environment between 1990 and 1995, he spoke out against exploitation of old growth forests and wilderness and coastal areas and warned of the danger to fresh water supplies from industrial, agricultural and urban waste policies, and of the probability of major oil spills in the area of the Great Barrier Reef. Coulter deplored the action of the Keating Government in maintaining the practice of exporting hazardous wastes to Third World countries, alleging that in this regard Australia was 'the world's worst polluter'. He was fervent on the subject of threatened species and introduced two private senator's bills to 'redress the processes in the bush that are threatening the extinction of a large number of our uniquely Australian plants and animals'. He had garnered considerable publicity during 1992 for a campaign to make the endangered bilby, a type of bandicoot, a symbol of Easter, instead of the environmentally destructive rabbit. Coulter was strongly opposed to the mining and export of uranium. In May 1993 he introduced a bill to prohibit uranium enrichment, nuclear power production and reprocessing of spent nuclear fuel in Australia, and in June 1995, in response to French nuclear weapons testing in the Pacific, he introduced the Prohibition of Exportation of Uranium to France (Customs Act Amendment) Bill 1995. Both bills lapsed. As an advocate of clean energy sources, Coulter said that Australia had produced 'extremely clever technology' in the form of solid oxide fuel cells and solar photovoltaic cells. He looked forward to 'the possibility of a transport system in which 70 per cent of all journeys are driven by solar energy'. In 1995 he proposed that the Keating Government should introduce a carbon tax, with revenue collected being used to develop energy-efficient industries. In the same year he secured funding from the government for research into an ethanol fuel substitution program in exchange for Australian Democrats support for an increased fuel tax. He was proud of the outcome, saying: 'for the first time we were able to help establish an Australian owned and produced alternative fuel industry'. During debate on the Patents Bill 1990, Coulter unsuccessfully proposed amendments that sought a review process for the patenting of genetic material. He warned that patents for the treatment of various genetic diseases could be used simply 'for commercial ends' at the expense of sufferers and he reiterated these arguments during debate on the Plant Breeder's Rights Bill 1994. He drafted a bill to amend patents legislation to specify that genes could not be patentable, but the bill had not been introduced prior to his retirement from the Senate. While supporting the Labor Government's proposed legislation establishing an Aboriginal and Torres Strait Islander Commission, the Australian Democrats were concerned about issues of self-determination. They used their numbers to combine with the Opposition to refer the legislation to the Senate Select Committee on the Administration of Aboriginal Affairs, of which Coulter was a member. In November 1988, Coulter, the party spokesman on Aboriginal Affairs, controversially asserted that the Australian Democrats would block the legislation if Charles Perkins, then head of the Department of Aboriginal Affairs and a Member of the Aboriginal Development Commission, was appointed to chair the Commission. Coulter had heard allegations against Perkins of mismanagement and conflict of interest. Perkins was subsequently sacked from his position by Aboriginal Affairs Minister Gerry Hand, but later investigations cleared him of any misconduct. In February 1989 Hand vehemently attacked the select committee, saying that 'outrageous claims' were made at committee hearings where civil liberties were 'swept aside', and suggested that the government should in future boycott such inquiries. In the Senate on 1 March Coulter defended the role of Senate committees, stating that 'the committees are probably the most productive part of the operation of the Senate'. At the 1990 election Haines contested the lower house seat of Kingston and Coulter headed the SA Democrats' Senate ticket, gaining a quota on the first count. Victorian Janet Powell was elected as Leader of the party, with Coulter as Deputy. Under Powell and Coulter the Australian Democrats gave additional prominence to environmental issues. Discussions were held about the possibility of a closer association with the green movement, but a plebiscite of AD membership in October 1991 rejected a merger. On 19 August 1991 Coulter joined the majority of AD senators in a 6:2 vote of no confidence in the leadership of Janet Powell, following adverse publicity about her private life and leadership style. Following Powell's resignation, Coulter became acting Leader of the parliamentary party; two months later he won the membership ballot for the party leadership. Coulter remained party spokesman on the environment, reflecting his belief that environmental issues were of fundamental importance to the Australian Democrats party. Between 1993 and 1995, he published a newsletter, Canopy, subtitled 'the national environmental quarterly'. His new leadership position and the fact that the Democrats held the balance of power in the Senate required Coulter to employ his negotiating skills in matters that went beyond environmental issues. He played a significant role in the Marshall Islands affair in 1992, when the Minister for Transport and Communications, Graham Richardson was accused of using his ministerial position to further the business dealings of his relative, Greg Symons, in the Marshall Islands. On 7 May 1992 five Democrats, including Coulter, voted with the Opposition to censure Richardson for 'clearly and deliberately misleading' the Senate. Coulter then stated publicly that if Richardson was not sacked the Democrats would use their power in the Senate to 'muzzle' him, by preventing him from speaking. Richardson resigned from the ministry on 18 May. Coulter initially proposed a judicial inquiry or a royal commission to investigate any 'improper ministerial influence' but, to the disgust of the Opposition, agreed to a compromise in which the Keating Government undertook to give serious consideration to establishing a ministerial code of conduct. In November 1992, following the revelation that the Victorian Labor Government had exceeded its loan limit, Coulter moved a motion for the establishment of a Select Committee on the Functions, Powers and Operation of the Australian Loan Council. The motion was passed with the support of the Opposition and Coulter was elected chair of the committee, the first AD senator to chair a Senate select committee. When Coulter spoke of using the committee's powers to summon state MPs and members of the House of Representatives to appear before it, Prime Minister Paul Keating, in the face of suggestions that Treasurer Dawkins was implicated in a cover-up, said that Dawkins would not appear before the committee, and famously, on 4 November 1992, excoriated the Senate as 'unrepresentative swill'. In advice to the committee, the Clerk of the Senate, Harry Evans, suggested that the proper course in the case of a member of state parliament declining an invitation to appear before a Senate committee was for the committee to seek, through the Senate 'the cooperation of the state house in the appearance of the member'. Although Coulter pursued the matter and the Senate agreed in October 1993 to a motion requesting the attendance of all state premiers, none attended. Despite these restrictions on its investigations, the committee's work provoked change, with the government taking action to make the states more accountable to the market for their borrowings. In preparation for the 1993 election, Coulter expended much effort in producing a comprehensive policy package, Getting To Work, which emphasised a commitment to 'ecologically sustainable development'. The launch of the election campaign in February 1993 featured parodies of the major parties, with masked goblins, witches, warlocks and tarot card readings. The launch backfired, only adding to voters' suspicions that the Australian Democrats had become too closely identified with new-age mysticism. Coulter's inability to properly communicate his policies to the public and his desire to concentrate on environmental issues were not well received at a time of economic recession. In the March 1993 election the vote for the Australian Democrats was more than halved from the 1990 election. Coulter was criticised within the party for his preoccupation with a population and immigration policy that many did not understand or support, even within the party's Senate membership. Cheryl Kernot won the party's mandatory post-poll election of leaders, with eighty-one per cent of the vote. Despite losing the party leadership, Coulter's formidable work ethic was undiminished. In March 1995 Coulter introduced the Constitution Alteration (Ecology, Diversity and Sustainability) Bill, 'to alter the constitution to ensure that when making laws the parliament takes into account the effects of such laws on the natural environment', a logical culmination of his efforts to find effective legislative measures for the promotion of a sustainable environment. In June he initiated a reference for a wide-ranging inquiry on the subject of marine and coastal pollution by the Environment, Recreation, Communications and Arts References (ERCAR) Committee, which he chaired. Throughout 1995 he made a series of speeches in the Senate criticising the Commonwealth Serum Laboratories, alleging that it had been supplying unsafe products—pituitary hormones and blood products which had not been adequately tested for diseases—and he told the Senate that there was evidence linking the receipt of pituitary hormones with the transmission of Creutzfeldt-Jakob disease. He also chaired ERCAR Committee inquiries into arts education and into Australian soccer. In early November 1994 Coulter collapsed at home and was rushed to hospital for abdominal surgery, missing the final parliamentary session of the year. He resigned from the Senate on 20 November 1995, citing continuing health problems. When Coulter left the Senate valedictory speeches from all sides of the chamber acknowledged the commitment he made to his beliefs and his capacity for hard work. Several speakers mentioned the benefit of having a colleague in the Senate who could bring a deep scientific knowledge and perspective to so many issues. Coulter's own judgment of what he had achieved in the Senate was bleak: as far as moving governments closer to adopting his ideal of ecological sustainability was concerned, he confessed 'to being an almost total failure' and he believed that political debate remained rooted in 'the ideology of economic rationalism'. Coulter remained a prominent member of the South Australian branch of the Australian Democrats after leaving the Senate but became disillusioned by the party's emphasis on economic issues. He bitterly opposed Meg Lees' 1999 goods and services tax deal with the Howard Government and sought a party ballot for her removal as Leader. He supported Natasha Stott Despoja in her successful challenge for the leadership in April 2001, but a week before the November 2001 federal election he resigned his party membership, accusing party leaders of 'progressively subverting' the grass roots traditions of the Australian Democrats by placing 'more emphasis on pragmatism rather than principle'. Having left the ACF Council in 1990, Coulter again became a councillor in 2004. He continued his involvement with the TCPA, and was president of Sustainable Population Australia from 2003 to 2009. In 2015, as vice-president, he was still writing letters to local and national newspapers on the subject of population control. In 2010 he said that his major achievement in public life was 'in holding before the Australian people a vision of an alternative Australia'. This entry draws throughout on a transcript of an interview with John Coulter by Susan Marsden, 16 March 2011, POHP; 'Profile, Senator John Coulter', House Magazine, 15 Aug. 1990, pp. 3–4; SMH, 5 Oct. 1991, p. 11. Brian Martin, 'Preventing preventative medicine: mutagens and managers', in Brian Martin et al., Intellectual Suppression: Australian Case Histories, Analysis and Responses, A&R, Syd., 1986, pp. 123–9; CT, 27 June 1980, p. 2; SMH 'Good Weekend', 17 Oct. 1992, pp. 26–9. Canopy, Oct. 1995, pp. 5–8; Age (Melb. ), 8 March 1992, p. 4; Planning S.A., No. 41, Nov/Dec 1974, pp. 1–3; William Lines, Patriots: Defending Australia's Natural Heritage, UQP, St Lucia, Qld, 2006, pp. 124–7; Advertiser (Adel. ), 4 Oct. 1991, p. 13; John Coulter, 'Nuclear energy and the future of man', New Doctor, No. 7, Dec. 1977, pp. 12–16; John Coulter, 'The background to the problem', ANZAAS SA symposium, 'Population: the Main Polluter', Adel., 4 Aug. 1971. Australian Democrats, 30 Years, Australian Democrats, East Melb., Vic., 2007, p. 38; CPD, 21 Sept. 1987, pp. 398–411, 30 Oct. 1989, pp. 2524–30, 6 Dec 1989, pp. 4000–3, 5 March 1992, pp. 872–5; J. Coulter, 'Sustainable economics', Changing Directions, Adelaide University, 21–4 Sept. 1989. CPD, 19 Nov. 1987, pp. 2067–71, 2 March 1989, pp. 282–4, 15 April 1988, pp. 1552–9, 12 Oct. 1988, pp. 1210–19, 21 Dec. 1988, pp. 4750–5, 12 Feb. 1991, pp. 345–50, 23 Sept. 1987, p. 537, 23 March 1988, pp. 1167–231, 19 Dec. 1989, pp. 4753–8, 4760–2, 5 Nov. 1992, pp. 2450–1, 23 Nov. 1993, pp. 3450–4, 16 Dec. 1993, pp. 4818–21, 8 March 1995, pp. 1500–13, 2 March 1994, p. 1275, 5 March 1992, pp. 757, 759–65, 15 Oct. 1992, pp. 2010–15, CT, 15 April 1992, p. 3. CPD, 20 April 1988, p. 1769, 17 April 1991, pp. 2561–6, 13 May 1993, pp. 500–3, 27 June 1995, pp. 1560–7, 1845–7, 12 Feb. 1991, pp. 345–50, 6 Dec 1989, p. 4002; Canopy, Oct. 1995, p. 8; CPD, 22 Aug. 1990, pp. 1910–3, 17 Sept. 1990, pp. 2478–83, 22 June 1994, pp. 1908–11. Media Release, Senator John Coulter, 8 Nov. 1988; Peter Read, Charles Perkins, Penguin Books, Ringwood, Vic., 1990, pp. 318–34; CT, 17 Feb. 1989, p. 3; CPD, 1 March 1989, p. 166. N. Economou, 'Cooperation and competition: the two faces of democrat environmental movement relations' in John Warhurst (ed.) Keeping the Bastards Honest, Allen & Unwin, St Leonards, NSW, 1997, pp. 251–67; Herald-Sun (Melb. ), 6 Oct. 1991, p. 26; Age (Extra)(Melb. ), 8 Aug. 1992, p. 5; SMH 'Good Weekend', 17 Oct. 1992, p. 29; CPD, 7 May 1992, pp. 2462–511, 2 June 1992, pp. 3248–63, 25 June 1992, pp. 4552–80, 4637–43; Australian (Syd. ), 16 May 1992, pp. 1, 6; Marian Wilkinson, The Fixer, Heinemann Australia, Port Melb., Vic., 1996, pp. 347–58. CPD, 3 Nov. 1992, pp. 2042–97, 5 Nov. 1992, pp. 2295–341; CPD (R), 4 Nov. 1992, p. 2549; CT, 5 Dec. 1992, p. 20; Select Committee on the Functions, Powers and Operation of the Australian Loan Council, Interim Report, Canberra, 1993, pp. 82–90; CPD, 5 Oct. 1993, pp. 42–3; G. Lindell and R. Bennett, Parliament: The Vision In Hindsight, Federation Press, Annandale, NSW, 2001, pp. 244–5. Australian (Syd. ), 1 March 1993, p. 4; SMH, 28 Feb. 1993, p. 17, 1 March 1993, p. 6; H. Sugita, 'Ideology, internal politics and policy formulation' in Warhurst (ed) 1997, pp. 131–50; David O'Reilly, Cheryl Kernot: The Woman Most Likely, Random House, Milsons Point, NSW, 1998, p. 149; John Coulter, 'A biologist in the Senate', People and Place, Vol. 4, No. 3, 1996, pp. 1–4; John Coulter, 'Immigration—a Battleground within the Australian Democrats', People and Place, Vol. 9, No. 3, 2001, p. 1017; CPD, 29 March 1995, pp. 2320–3, 10 May 1995, pp. 220–1, 11 May 1995, pp. 304, 398–400, 22 Aug. 1995, pp. 86–9, 27 Sept. 1995, pp. 1495–511. CPD, 20 Nov. 1995, pp. 3347–68; Transcript, ABC Radio, 'PM', 8 July 1999, 7 Nov. 2001; Advertiser (Adel. ), 8 Nov. 2001, p. 9. This biography was first published in The Biographical Dictionary of the Australian Senate, Vol. 4, 1983-2002, Department of the Senate, Canberra, 2017, pp. 292-297.